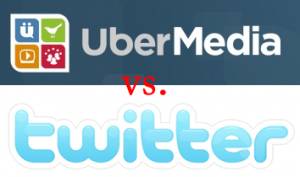 Is UberMedia Creating A Twitter Competitor? CNN is reporting today that UberMedia is working on its own social network that may directly compete with Twitter. This is something that seems to have been in the works for a long time with UberMedia’s recent buying spree of Twitter clients just before Twitter deemed open competition in the client space as something it was no longer promoting. This makes for an interesting if obvious business decision from the well-funded UberMedia, which must be concerned with the possibility of Twitter permanently revoking their API access after a brief temporary ban in February after a claimed ToS violation. UberMedia has the largest number of active users for its cross-platform clients after Twitter itself according to a study by market research firm Sysomos, and therefore may be well poised to softly launch it’s own product basically mimicking Twitter’s services possibly with a few tweaks. For those of us that treat Twitter as a networked communication backbone along the lines of Email, having more options from companies offering a similar service is certainly appealing, and a distributed federated system already exists developed by Status.Net (publicly running at identi.ca). However the question remains that if UberMedia is creating its own proprietary network then the same complaints with Twitter, such as single company control and bottlenecks, may emerge and that would only be if the service gains sufficient traction before Twitter pulls the plug on their API access for good.